Are you struggling with anxiety and finding that your battle-field is real? Jesus would love to free you from your anxiety by exalting his power over your life. He loves to take away what is troubling you. When you are experiencing anxiety on a daily basis it can be easier said than done. You might know all the answers and tried all the ways to relieve the tensions that are caused by your anxiety. I’d like to give you a simple formula that will remove your anxieties for life. But . . . sometimes it just isn’t so easy. What I am going to share with you IS EASY! It all has to do with faith. It is simple but yet, it can be totally complicated for many of us because we have so little of it! As women, we struggle more than men with issues of anxiety. That is why this is so important to tackle in this series on Living Fearlessly because to live fearlessly, you want to stand up to your anxieties and face them! Belief is such a simple answer to anxiety! All you have to do is believe in the Living God to deliver you from anxiety and it is DONE! Why then, is it so hard for most women who struggle with anxiety? Ten years ago, I was in a minor car accident and since then, certain situations like zipping in and out of high-speed traffic can be terrifying to me! The solution is so simple and yet so hard to reach! It is just that simple and yet intangible. 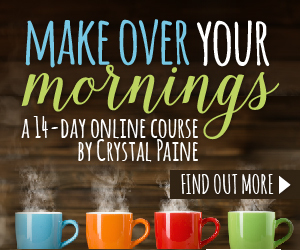 I canNOT give you a 5-bullet outline that has the secret that unlocks and removes your anxiety! 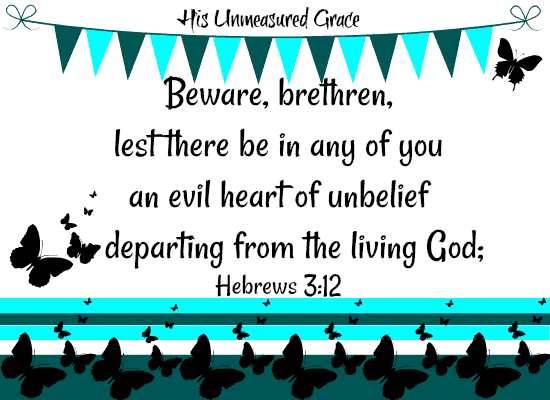 This verse says that it is evil to have a heart of unbelief and so I am going to write this verse on a 3 X 5 index card that will remind me NOT to fear and have anxiety. This will be the first verse I am writing out! How about you? Have you ever weeded your garden only to find that more weeds pop up as soon as it rains? This summer, we have had an incredible amount of rain. Everything is lush green but things look overgrown with weeds that are impossible to keep up with! That is how anxiety grows when we ‘water’ it with our unbelief! Unbelief blocks off our faith from growing because it has grown out-of-proportion! It would seem that it is impossible that Jesus could possibly take our burden of anxiety away. That’s because unbelief is in the way of faith! Faith is kind of like a bike ride when you are ‘IN’ Christ. When you are riding on a bike and going up and down hills, you hold on. Hold onto Jesus like you are on a bike with confidence, steadfast (without wavering or weaving) until the end. In order to be saved, you need faith. But did you know that in order to continue in your journey of life in Christ, you need faith? When you are wavering because you are filled with anxiety over whatever it is that causes you to worry and fret . . . persevere in your faith. Just like on a bike ride. If you let go, you will fall off the bike and if you let go of Jesus, you will fall into unbelief! I know that my faith can waver when anxiety hits me! 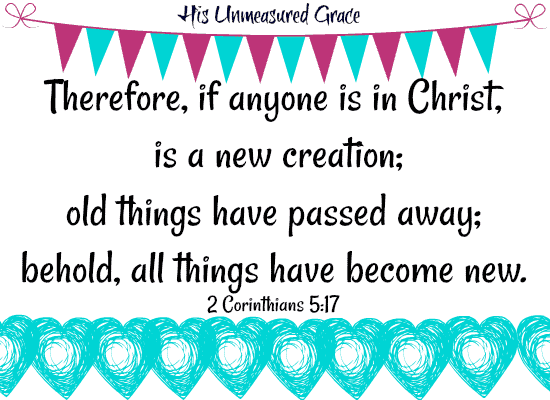 But I know that I once I have ‘new birth’ in Jesus old things are passed away . . .
That is because this life is a battle-field! We are to pray. pray. pray. as if your life depended on it. Sometimes it is good to be reminded that we need to grow and flourish in our faith in Jesus. Here is another verse to add to your box of 3 x 5 index cards!! You are experiencing the battle-of-your-life once you have believed in faith in the Living God! The evil one is out to get you and will do everything that he can to discourage and defeat you! If you can be defeated through anxiety . . . he will use that weapon against you. Anxiety is a strong influence in your life. I know it is real and that this is no trifling thing. Those who are truly born of God will take this battle seriously. When you see this as a battle-field, it puts anxiety in its place. When anxiety hits you, the battle-field is PRAYER! Get on your knees before God and ask Him to forgive you for your unbelief in His almighty power. Ask God to give you the faith. It only takes a small amount of faith like that of a mustard seed. Draw on the power of God to fight with perseverance.